So, remember when Bob McCarthy from the Sarnia Photo Club visited us and did a wonderful presentation about the birds of Florida? Do you recall that there was one bird he couldn’t get a decent shot of and he was kinda irked about it? 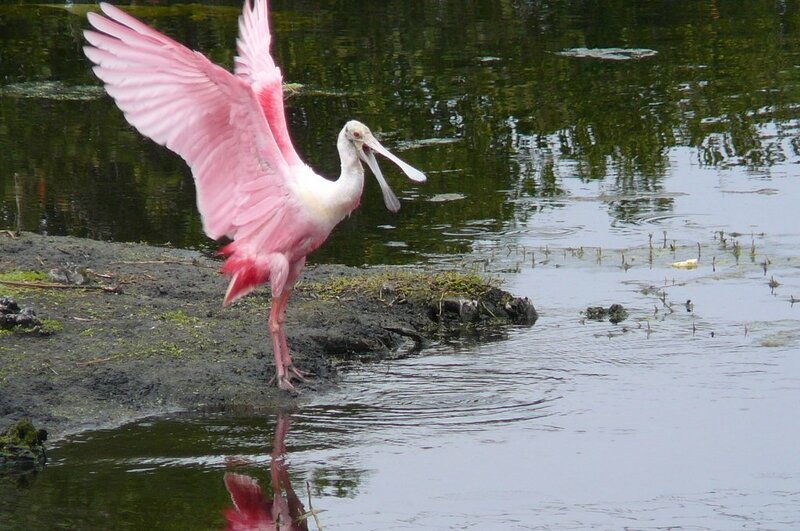 It was the Pink Spoonbill. Well, one of our very own members, Carol McLeod, snagged this great capture of the elusive spoonbill. It’s good to know that more goes on down there in Florida all winter than just cruising WalMart and golfing and comparing prices! Way to go, Carol, and thanks for sharing. Gallery | This entry was posted in artistic talent, camera club, fabulous photos, photo opportunities. Bookmark the permalink.